Many of the vaporizers I’ve reviewed and used recently have all been… huge. Some of them more huge than others. The ELeaf iStick Pico is a nice little break from the big boys. It seems that single-battery vaporizers have gone the way of buggy whips. But, Eleaf’s new Pico seems like it might be the answer to weighted down pockets everywhere. Sure it’s not as powerful as it’s more zaftig cousins, but can it do the job? If you want to find out, I guess you’ll want to read the rest of my review of the Eleaf iStick Pico (with ELLO tank). Disclosure: this review contains affiliate links. I was sent this product free of charge by eFun.top for review purposes. I’m going to break this review up in two. Keep reading for the Ello tank portion of the review. The main defining feature of the iStick is its tiny size. 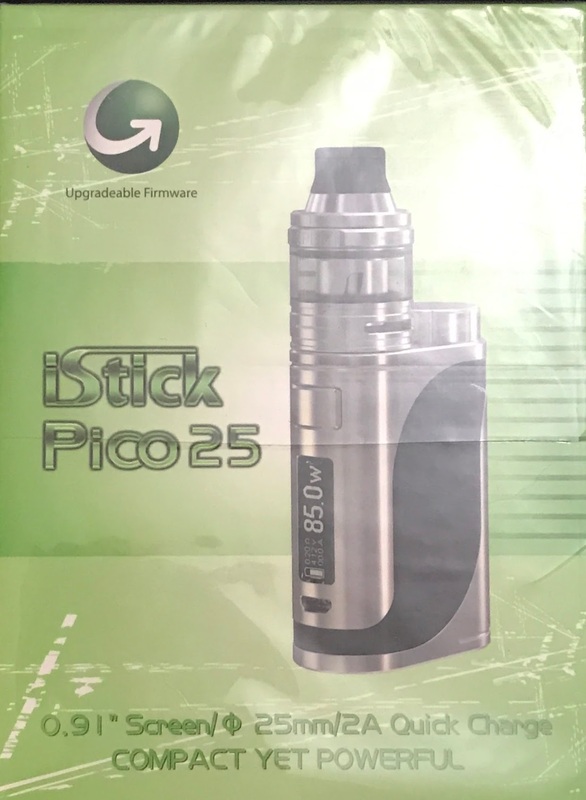 With a name like Pico, it’s something you expect. The second defining feature is that it’s a very good-looking vaporizer. Efun.top sent me the black and red version with a matching tank. I have to say it is an eye catching device. The two-tone color comes from an inlay with the accent color along with a battery cap of the same accent color. 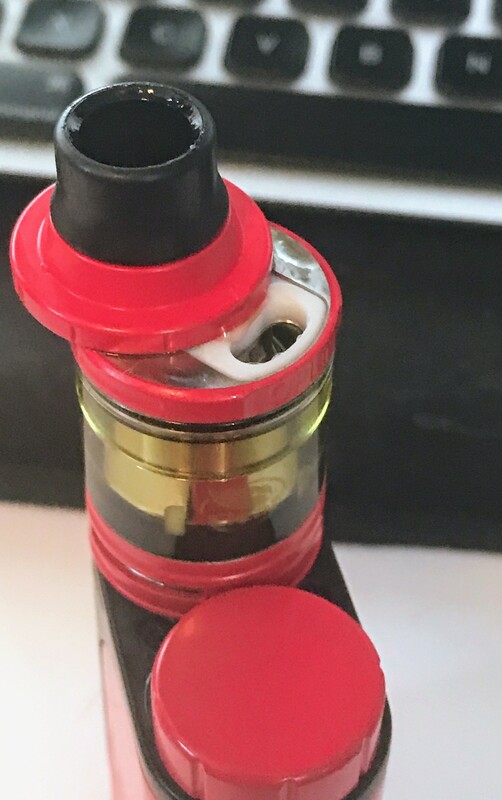 That’s right, the iStick Pico uses an old-school twisty battery cap for the single 18650 battery instead of one of those magnetic battery doors that’s so popular. There is a method to this madness. The cap protrudes a bit above the body of the vaporizer. This essentially lets Eleaf make the body slightly smaller as the battery has a little room to protrude past the body and into the cap. There are quite a lot of small touches in this device to make it so small. Another trick was to include a large fire button and a decent sized OLED screen by moving the up and down control buttons to the bottom of the device. Adjustment is still easy as the buttons are countersunk with the bottom but they are large and easy to manipulate. I have had no problems with my pocket adjusting the wattage like I have had with several full-size devices. Despite being tiny, there aren’t any real feature sacrifices in this device. It has both wattage temperature control modes for different coils. The firmware is upgradable like you would expect in any modern vaporizer. And performance isn’t terrible either. A few things to note about performance: This is a single 18650 battery device. As such, you’re not going to be able to go super-high wattage. The max limit is 85 watts. In addition. to get to that max limit you’re going to need a battery with a high discharge rating (amperage). One of the battery sets I used in this worked fine for a dual battery device, but didn’t have enough oomph to power the device above 70 watts. Finally, if you do run in the higher wattage range, you are going to need spare batteries. This thing will chew through batteries at higher wattage settings. This of course has nothing to do with the device itself, but with the limits of battery technology. Higher drain batteries simply have less storage capacity. In short, the Pico was made to be a small device that you can easily tuck in your pocket but not sacrifice on performance. It won’t help you win any cloud competitions, but it’s a great little device to keep in your pocket while you’re on the go. The version of the Eleaf iStick Pico kit I got is paired with a tiny Ello tank color matched to the vaporizer. There are also other kits with other atomizers available on eFun.top’s website. Interestingly, that first statement isn’t entirely true. I originally though the Pico 85W kit had a spare glass tube for the tank. Once I started diving into the kit for this review, I was pleasantly surprised. The “extra” glass was actually a larger one. 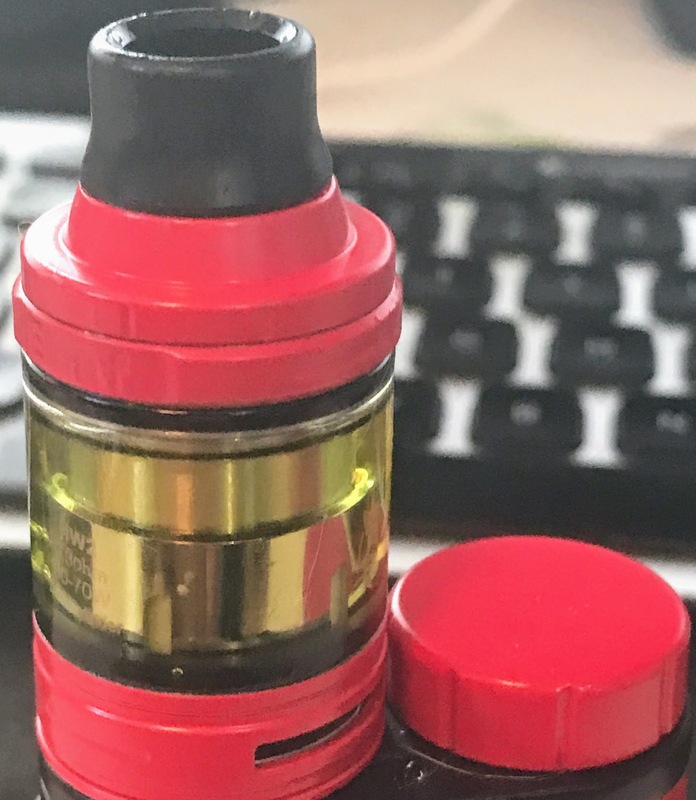 Paired with an adapter that was included in the spare parts bag, it converts the tank from a tiny 2ml tank to a 4ml tank. I’m not a big fan of tiny tanks, so this is pretty fantastic. There are a number of available heads for the Ello tank available for purchase separately . 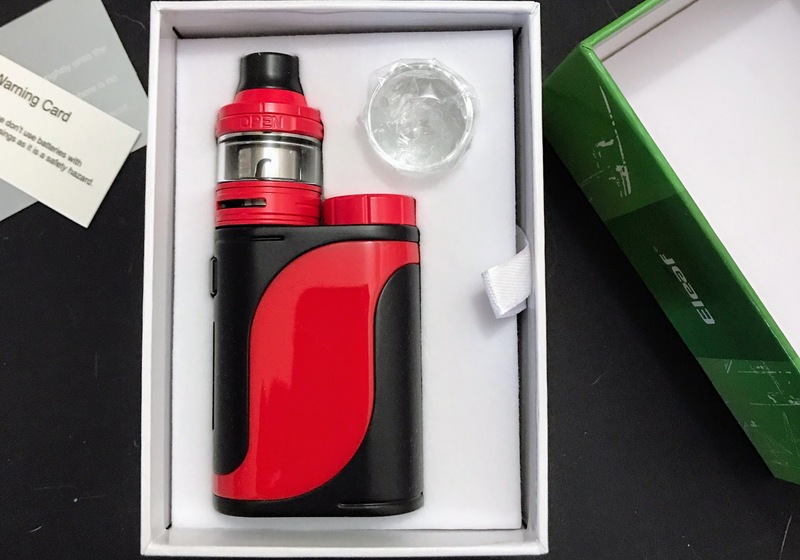 The kit includes a single coil head already installed and a replacement dual coil head featuring two vertical coils. I found the single coil couldn’t handle much wattage, so I spent most of the time using the dual coil setup with the larger tank. Performance was pretty decent. To be honest, I prefer a rebuild deck option on my tanks, but this kit lacked such a head. I found the tank to be decent in general, but if it had an RBA deck, I probably would have liked it a lot more. The good news is this tank doesn’t leak at all. Also, I think I buried the lede on this Ello tank review. The top fill system is very interesting indeed. I may or may not have spent quite a bit of time and physical effort trying to turn the top cap to open it up to refill. It turns out that was completely wrong. The fill cap works by sliding. You slide the top cap of the tank and it reveals a fill slot. That particular setup is not very intuitive, but once I got used to it, I’m in love with it. I can’t tell you how many tanks I’ve spilled on the twist to fill variety because I forgot to close the fill hole again. You just can’t do that with the Ello as it’s painfully obvious when the fill port is open. 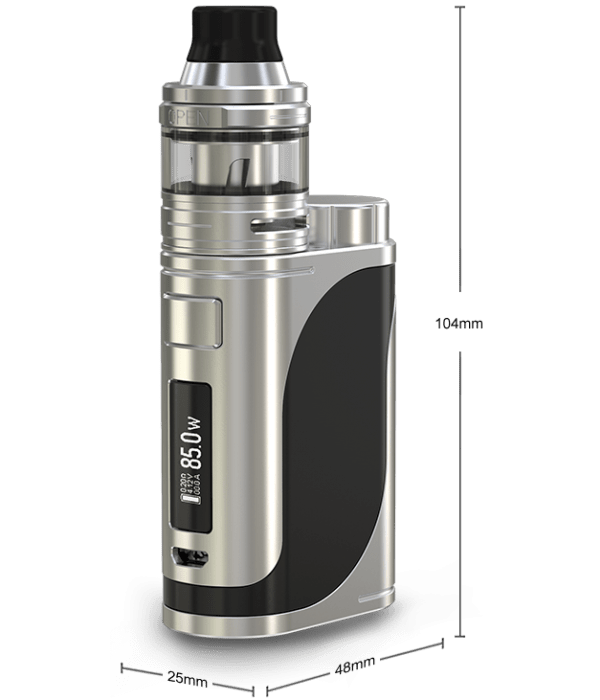 If you’re good with replacement head tanks, then there’s no need to ditch the included tank in the 85 Watt Eleaf iStick Pico kit. However, if you have a favorite tank, you can also pick up the vaporizer only at eFun top. Either way if you want a small vaporizer that has all the features of the big boys, you’ll be hard pressed to beat the Pico. If you’d like one of your own, head over to eFun.top to pick one up. It’ll set you back less than 40 bucks.